I was halfway through grade five when I realised that my carefully rendered ‘bubble writing’ was no longer going to cut it on school projects. My best friend had turned up with a project poster titled ‘Living in the Future’ and all of her headings were written in a very natty ‘computer’ font. Actually, I didn’t know the word ‘font’ at the time but it didn’t stop me from being immediately envious. And curious – how did she do such fancy writing? 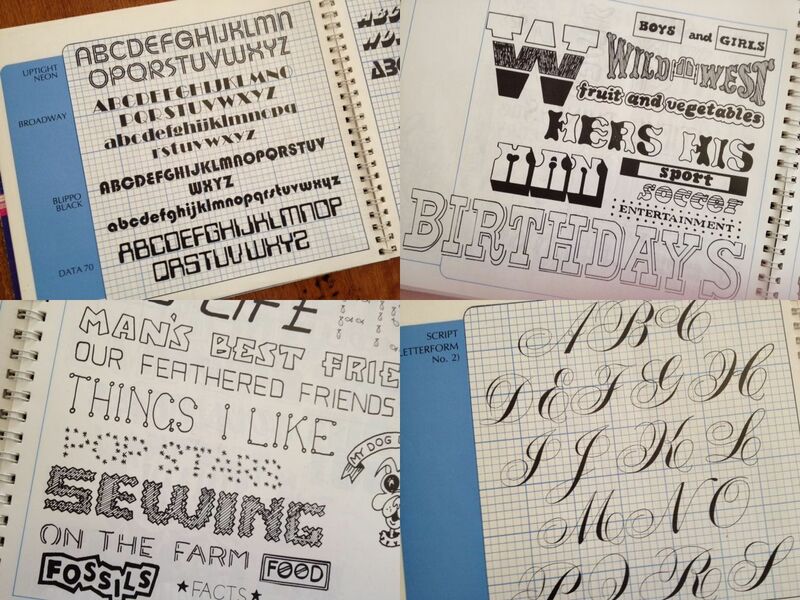 It turns out my friend’s fabulous fonts came from The Lettering Book by Noelene Morris and obviously, I felt life could not continue until I had my own copy. But there was a catch. The Lettering Book was only available through the once-a-term Scholastic Book Club – would my mum let me choose a book from the next catalogue? I started saving my pocket-money as a back-up. Such was, and still is, the anticipation and fun of the Scholastic Book Club. Once a term, the Book Club catalogues are sent home – the pages are pored over, items circled and pocket-money counted out. And although parents may look through the catalogue with skepticism – because after all, you could pop down to Tim’s and buy most of the books immediately – they’re forgetting the sheer thrill of Book Delivery Day. That special day when the Scholastic Book Club orders are handed out and kids are just busting for the bell to go so that they can get stuck into their new book. The Scholastic Book Club has been running at Kew Primary School for decades and is a significant fundraiser for the school library. A percentage of the sales each term are credited to the school, allowing our librarian, Ruth, to purchase new books. The Book Club is run by parent volunteers, whose task it is to collate orders once a term and then distribute the books to each class once they arrive. It takes a couple of hours each term and like all such tasks, many hands make light work (forget about Lil’ Boy Blue, I’ve heard that collating the book orders turns into quite the social morning…). Lisa Geier (who has kids in grades 5, 3 and 1) has coordinated the Book Club over the past two years and is looking to pass the baton for next year. She noted that it was great way to support the school without the need to attend meetings. If anyone (or a group of people) would be willing to take over coordinating the Book Club, please contact Lisa directly at lisageier@hotmail.com . The postscript to this story – as you can see from the pictures, I did get manage to get my own copy of The Lettering Book and I still have it (as I said, I really, really loved this book). 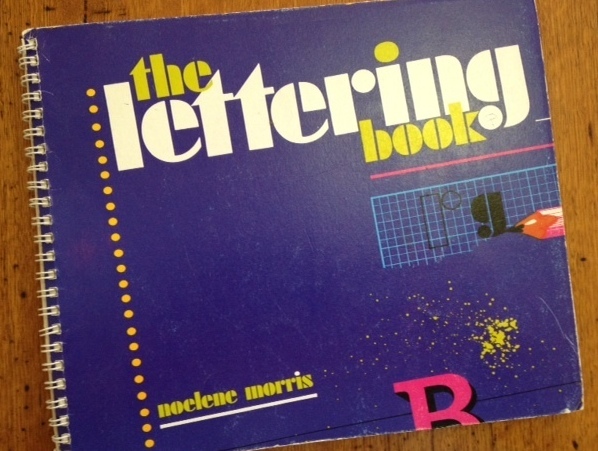 If my pictures have brought back a wave of 1983 nostalgia, you’ll be pleased to know that copies of The Lettering Book are available from online secondhand book dealers. For something similar, I highly recommend the more recently published How to be the Best Bubble Writer in the World Ever! by Linda Scott and Go: A Kidd’s Guide to Graphic Design by Chip Kidd – both perfect for kids who love fonts. This entry was posted in Fundraising, Students and tagged Fundraising, library, reading, volunteering by Kate W. Bookmark the permalink. I love how you take us down memory lane and tell a story in a thrilling way! Thank you Claire (although I’m probably the only person who remembers The Lettering Book!). You’ve got to be kidding! I loved that book too! 🙂 I just wish I still had my copy. Might have to dig through Mum’s cupboards on the weekend.